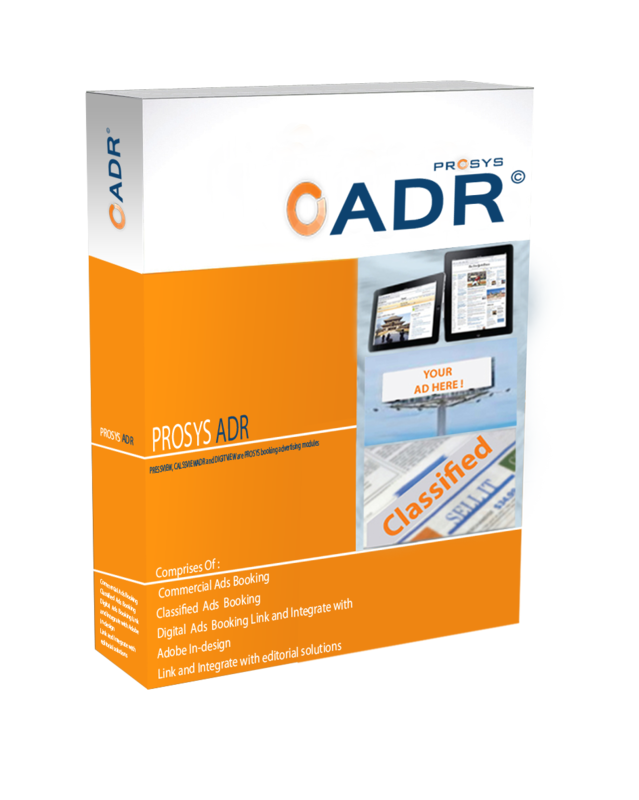 PRESSVIEW, CALSSVIEWADR and DIGITVIEW are PROSYS booking advertising modules that catches all opportunities to gain all your expectation from your agents and not loss or miss single space inside your publications. Special tools are available for producers online for pagination of commercials Ads and classified categories in simple one click. Drag and drop using stat of the art technologies are able to integrate and links to Adobe In-design and Editorial Solutions. Link and Integrate with editorial solutions.